Yesterday, we reported that a few ex-Yahoo employees we spoke to are in favour of CEO Marissa Mayer’s ban on working from home.It turns out that many current Yahoos agree with Mayer’s decision. A couple of the Yahoo employees on the thread say that Yahoo hasn’t banned working from home from time to time when needed. Over on Hacker News, a forum for startup enthusiasts and entrepreneurs, there’s a thread full of nightmare stories from ex-Yahoos about how the company needs the new, sometimes harsh, discipline Mayer is bringing to it. On top of that, there was very much a prima donna attitude around Yahoo, with a great deal of self-entitlement. I remember a couple of threads on devel-random complaining about the lack of ping pong balls, and how that insulted us as Yahoos since it meant that management didn’t trust us. Oh the humanity of not providing everyone with $2 worth of ping pong balls! 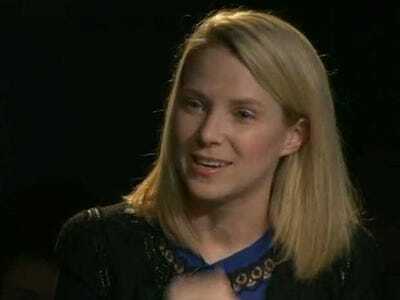 Yahoo was filled with lazy workers, and an extremely fat layer of lazy management. I vaguely remember Rasmus running a script that calculated around 70 employees per VP. As well, the internal politics at Yahoo was astounding. One of my friends worked on an iPhone app on his own free time, and when he tried to get approval, it was held up for months because people were arguing over things like colour schemes, and which group should own the app. It was pathetic. I like what Marisa Mayer is doing. I think by getting rid of some privileges like remote working, it is enforcing a discipline that hasn’t been at Yahoo, at least during the years that I was there. Showing up to work is a small price to pay for being paid a great wage and having the opportunity to work for what will hopefully become a first class company again. People need to show up and work and interact with their peers, instead of hiding at home and people not knowing wtf is going on with them. Sure, some people will quit, but quite bluntly, anyone worth their salt would have already left Yahoo by now. Anyone who is happy working in the environment that was Yahoo over the past 5 years is not an A player by any stretch, so it’s safe to assume that you can afford to lose them. Marissa is making some progress in turning Yahoo back into a desirable place to work again. I’m hearing from good engineers I know at respectable companies that have either considered it after talking to recruiters or have actually accepted offers. I suspect there is some method to the madness around the remote working policy – we’ll just have to see over the long run what shakes out of it.